We start this trip with a visit at the "Atlanterhavsparken" which is Northern Europe’s largest seaworld, situated close by the sea with a stunning view. 10 large tanks hold over 6.5 million liters of seawater and close to 40,000 fish of many species. 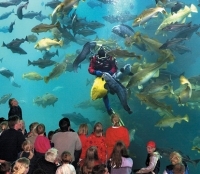 The Atlantic Sea Park is one of the most particular aquariums in Northern Europe, and has been built into the coastal landscape at Tueneset, the coastline west in Ålesund. Study the large landscape tanks that show life in sea along the Norwegian coast and in the Atlantic Ocean and see what goes on in the skerries, in the depths of the Storfjord, under the docks, and in the saltwater currents. Be fascinated by the hectic activity in the largest tank when the diver enters to hand-feed the fish every day at 13 o'clock (from 01.06.-31.08. also at 15.30). In the spacious outdoor area there is a separate penguin park. The penguins are being fed every day at 14.30. Back in the city we explore the old houses in Jugenstyle, built after the great fire in 1904. Get the full story! 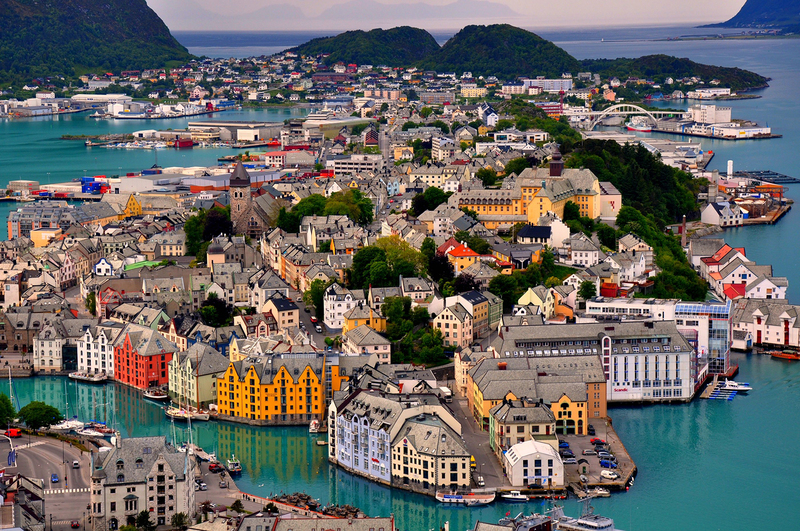 It is easy to become fascinated by Ålesund, with its Art Nouveau style and a myriad of turrets, spires and beautiful ornamentation. During the early hours of 23 January 1904 a terrible fire raged through Ålesund. In the space of 16 hours, 850 houses burned to the ground, and ten thousand people were left homeless. Thanks to prodigious efforts by the local population and others who came from far and near to help, most of the town center had been rebuilt by 1907. The architects who took part in the reconstruction were young Norwegians inspired by both National Romanticism and the contemporary modern architecture that was prevalent in Europe. 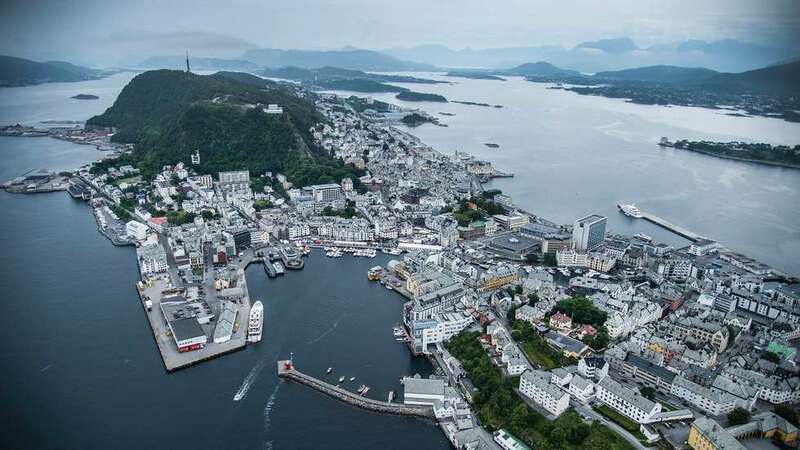 Today, Ålesund has a unique place in the history of Norwegian and international architecture. After this we travel by bus to Aksla (mountain) and get a great view over the city.